It’s no secret that beautiful Switzerland is filled with a lot of charm. It seems to have a storybook landscape and many travelers have a sense of awe when they visit this country. As individuals explore each destination; they often find that they are gorgeous and simply don’t compare to anything that they have ever seen before. With so many incredible sights, destinations, towns, and cities, it can be hard to pinpoint what the prettiest place in Switzerland is, but we have sure have attempted to do just that! 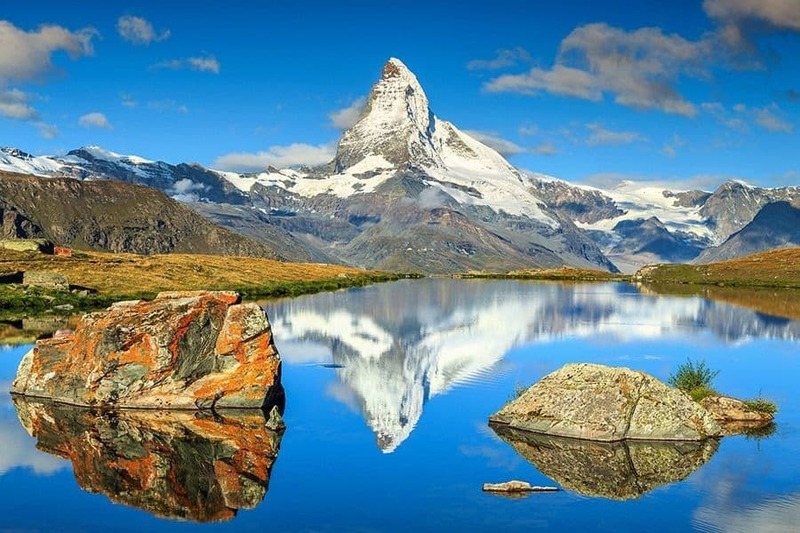 Here are 13 of the most beautiful places in Switzerland to visit. Below you will a list of the best places in Switzerland to include on your itinerary. 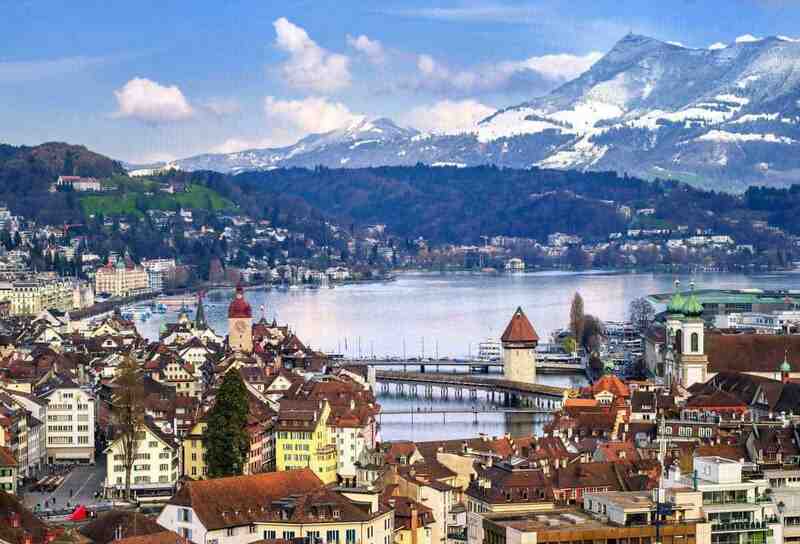 The list includes a range of beautiful sights from the most beautiful cities in Switzerland to most beautiful lakes, mountains and castles. 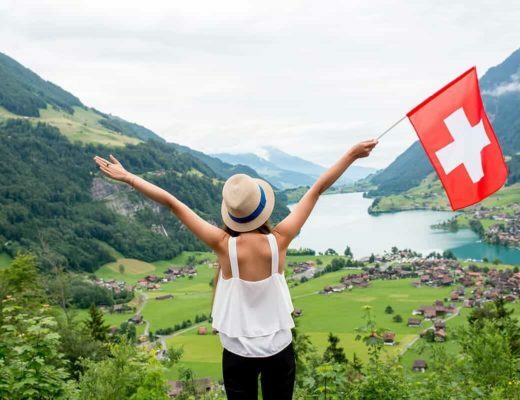 Whilst we love to scout out destinations that might still be unheard of, you will also find a few selections of pretty popular tourist places in Switzerland on the list as well. 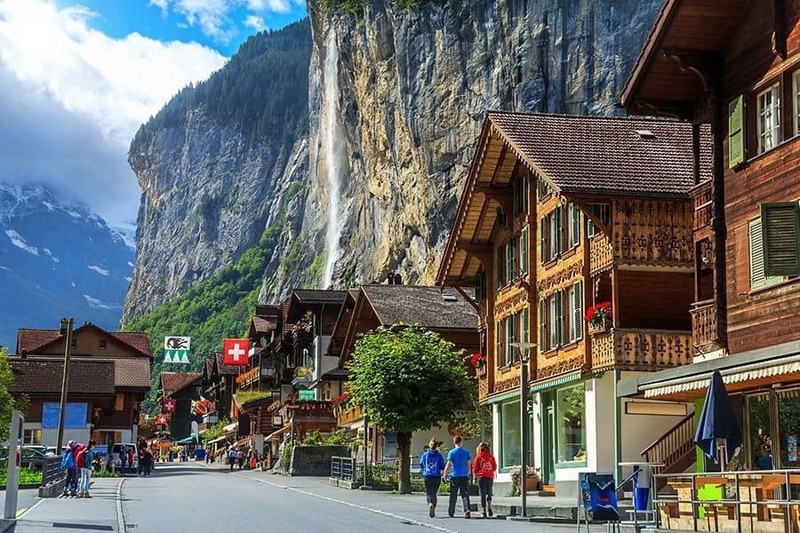 Lauterbrunnen might just be the most beautiful town in Switzerland! 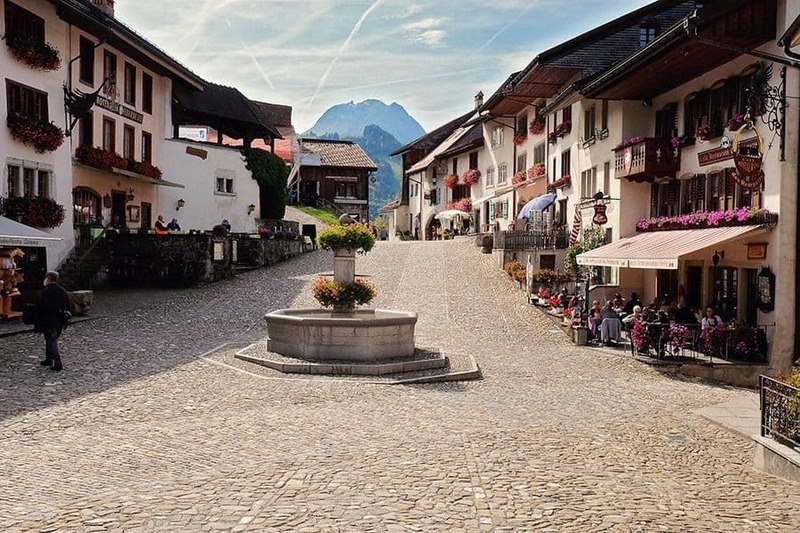 Situated in the Swiss Alps, this village is set in one of the most impressive trough valleys in the Alps. Surrounding the village you find dramatic rocky cliffs, together with the famous 300 meter-high Staubbach Falls. If the unique setting of this village is not enough for you, you can also visit the viewing platforms located close by, to see the sensational glacial waters of Trümmelbach Falls as they rush through the mountain crevices. Or maybe you simply want to challenge yourself and scout out all 72 waterfalls in the Lauterbrunnen Valley! Last but not least, don't forget to grab a cable car from Stechelberg village to Schilthorn mountain, for views over the glorious Bernese Alps! Located between Lake Brienz and Lake Thun is Interlaken. 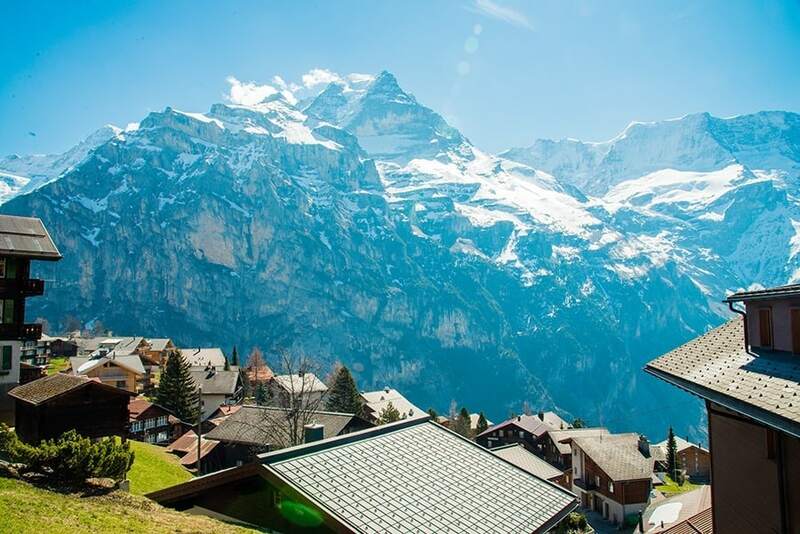 This resort town is absolutely stunning with acres upon acres of open space, flower gardens and the peaks of Eiger, Jungfrau and Monch towering over the town. Visitors can enjoy the area's many cafes or go kayaking, hiking or abseiling dependent on the time of year. There are over 45 different modes of transport including cable cars and railways. During the winter months, visitors flock to the area to take advantage of skiing and snowboarding opportunities. During the warmer months, paragliding is popular. 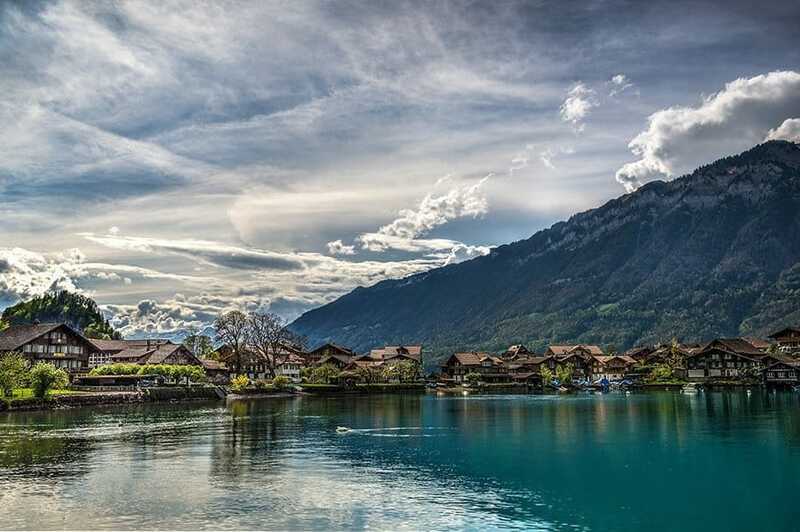 No matter what time of year it is, Interlaken is definitely one of the ‘must visit' places in Switzerland! 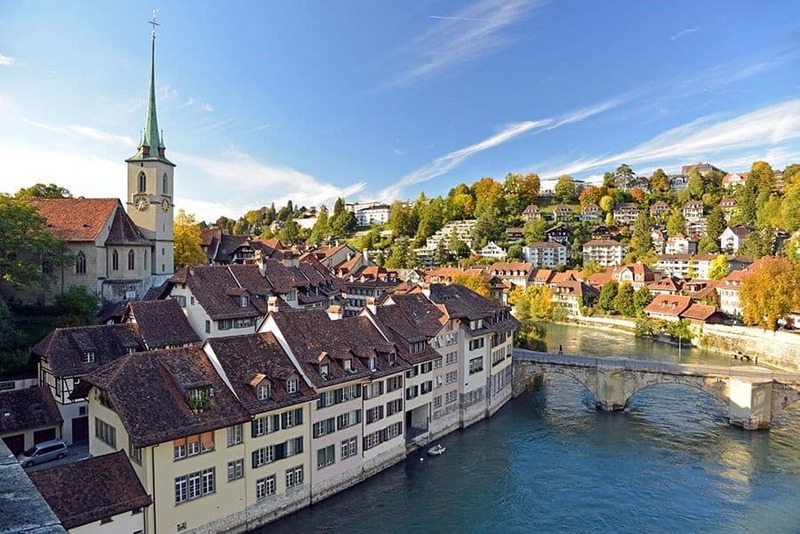 The capital of Switzerland, Bern, is a UNESCO World Heritage Site and perhaps the most beautiful city in Switzerland. This old town is medieval, which is apparent in its architecture. The tallest cathedral in Switzerland is located here as well. There are also 16th-century towers and cobbled streets. A popular attraction is the medieval clock tower, Zytglogge, that has moving puppets. In addition to all of this, a variety of impressive museums and galleries are located here. This city is a great place to go for those that want to see massive collections of Swiss art as well as sculptures. Of these museums include the Bern Museum of Art and Zentrum Paul Klee. For those looking for something else to do while here, they must check out the markets. Located in parliament square, Bundesplatz, where visitors can buy all sorts of unique items to take back home with them all while getting an intriguing view of the Bundeshaus parliament building. 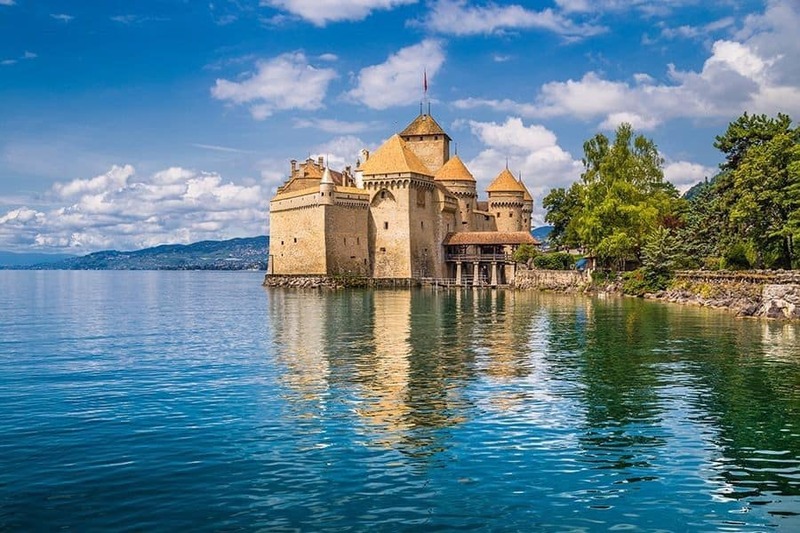 Located close to Montreux is the Chateau de Chillon, known as the Chillon Castle. The castle has a lot of history as it was a stronghold for the Dukes and Counts of Savoy back in the 12th century. It features 3 courtyards and 25 buildings. There are underground rooms, murals, and impressive paintings. When visiting Lake Geneva, many tourists stop at Chateau de Chillon as well. Mürren is a cozy Swiss mountain village located at the foot of the Schilthorn peak. 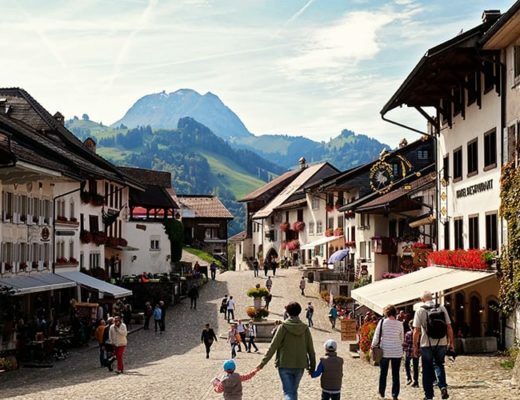 This village is one of the prettiest places in Switzerland. It is so scenic that it has even been featured in a James Bond film. The Piz Gloria revolving restaurant that is featured in the film, no contains the Bond World 007 exhibit and also offers incredible views over Eiger, Mönch, and Jungfrau, right to Mont Blanc and into the Black Forest! 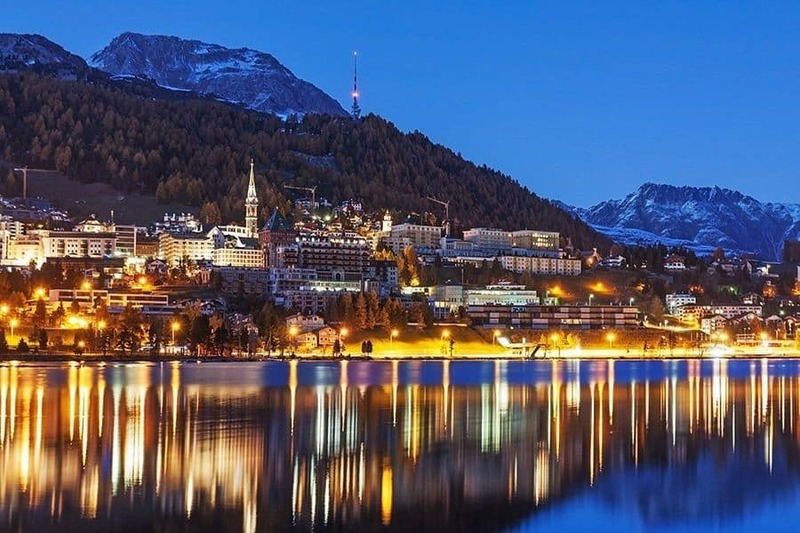 With its jagged peaks, impressive glaciers, beautiful lakes and lush forests, St. Moritz is one of the top mountain destinations in the world. In fact, two winter Olympics have been hosted here. There are two parts to this town: St. Moritz Bad and St. Moritz Dorf. The former sits on the valley floor and has more affordable accommodations. St. Moritz Dorf overlooks the lake. This is a popular destination throughout the year and during the winter, visitors can enjoy everything from bobsledding to skating. A popular activity is tobogganing on Cresta Run. During the summer visitors can enjoy glacier skiing, watersports, and hiking. Maybe the most beautiful town in Switzerland? This town has a lot of medieval character. It’s located above the river Saane, which makes for some impressive views. A popular attraction is a 13th-century structure, St. Germain Castle, that has been turned into a museum. Visitors can go here to learn more about the culture and history of the town. It also features a lot of artwork that relates to the once popular film “Alien”. Another interesting place to go is The Tibet Museum. Visitors can view Buddhist sculptures as well as some Himalayan ritual objects. Gruyeres is one of the top popular places in Switzerland due to its connection to the well known Gruyere cheese. So make sure to enjoy a cheese fondue for lunch to get into the atmosphere of all things cheesy. You can read more about Gruyere on our blog. This beautiful sight was contributed by one of our readers, and I wanted to add it to our list as it offers something completely different to the points listed above. 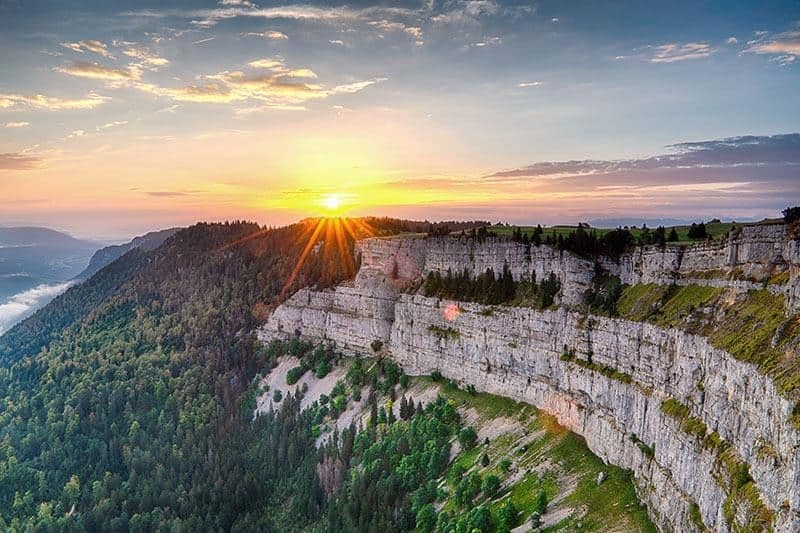 The Creux du Van is a truly spectacular natural rocky cirque that has been created by the constant erosion of water and ice. It measures approximately 1,400 metres wide and 150 metres deep. It is well known as the amphitheatre of Switzerland and located in the Val de Travers district, in the Swiss canton of Neuchâtel. Interestingly, there is a spring at the bottom of the basin where the water is four degrees above freezing the whole year round! You will need to climb exactly 725 metres to find yourself standing in the middle of an arena. Once you are there, you can also hike along the edge as well. So a great excuse to get out and active and enjoy some stunning scenery as well! We all know that Switzerland is an incredible country to visit. Even though it might be one of your more costly holidays, this country truly has a diverse range of incredible destinations that will surely leave a long lasting impression on your memory bank. 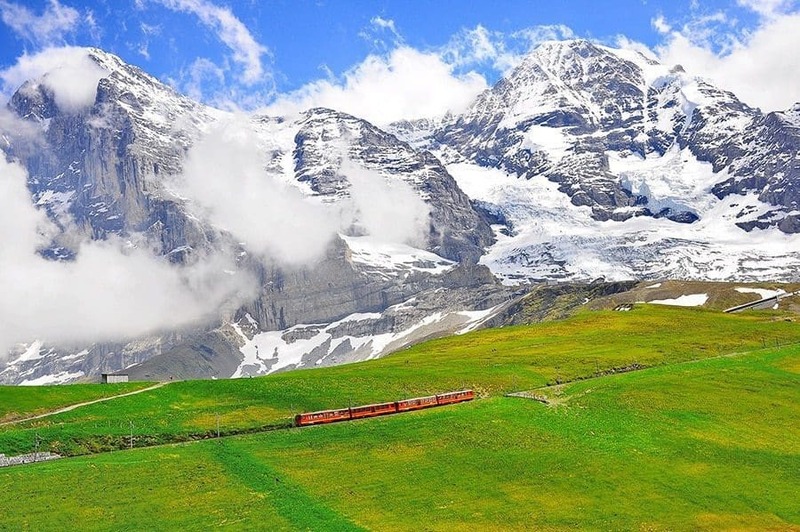 Switzerland always has and always will be one of the top destinations to travel to. If this list of the most beautiful places of Switzerland has proven that to you, then I”m not sure if anything will. We are curious to know which destination you would place as the most romantic place in Switzerland? 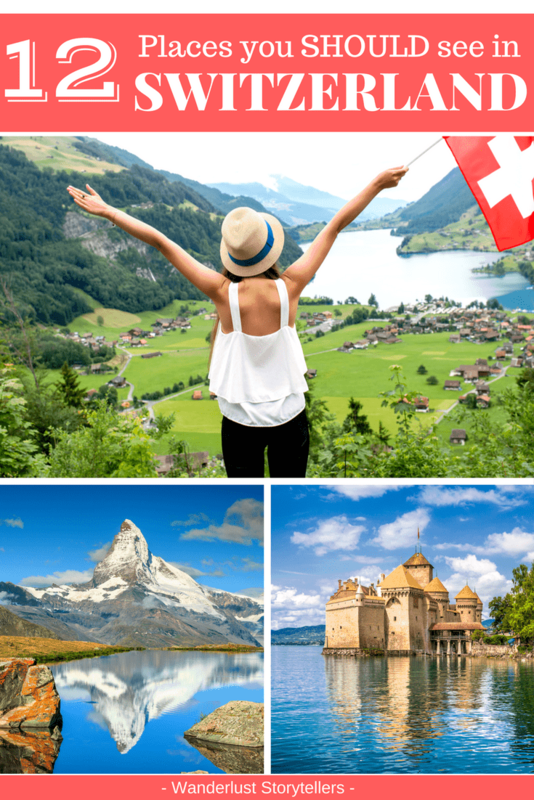 Which other most amazing places in Switzerland would you add to our list? 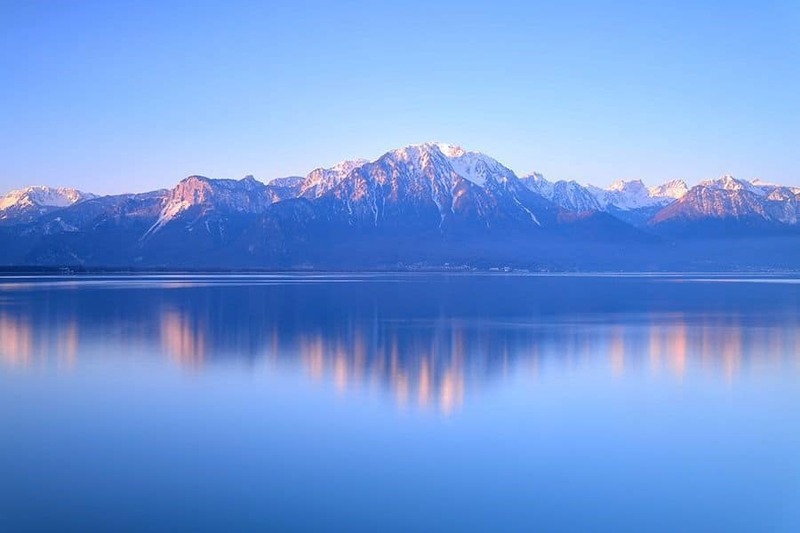 If you could only choose 3 nice places in Switzerland to see on your next trip, what would they be? Without a doubt my favourite place in all of Europe is Lauterbrunnen so I can see why it and the Jungfraujoch are at the top of your list. I’ve been lucky enough to visit nearly everywhere on your list and agree they are all beautiful places. And Switzerland is such a beautiful country! Stein am Rhein & Ftan, Switzerland are also amazing. Check them out! We visited Switzerland a few years ago. We ended up getting pregnant there. Her middle name is Murren. We hope to bring her there one day. Now that is a super special story! Thanks for sharing it with us 🙂 Love how you chose the name according to the where she created, lovely! Hope you get to take her back there one day soon! I am planning to travel Switzerland in last week of October & first week of November this year. I am concern about the weather & temperature over there because I will travel with my small daughter also. She is 16 months only. I am gonna travel Zurich , zermatt , Interlaken, bern, Lucerne. Just make sure to take layers and warm clothing 🙂 She will be fine, remember people who live in Switzerland raise their babies in the cold weather, have a look around when you are there and you will pick up plenty of tips on how to keep her warm 🙂 Have a lovely trip! 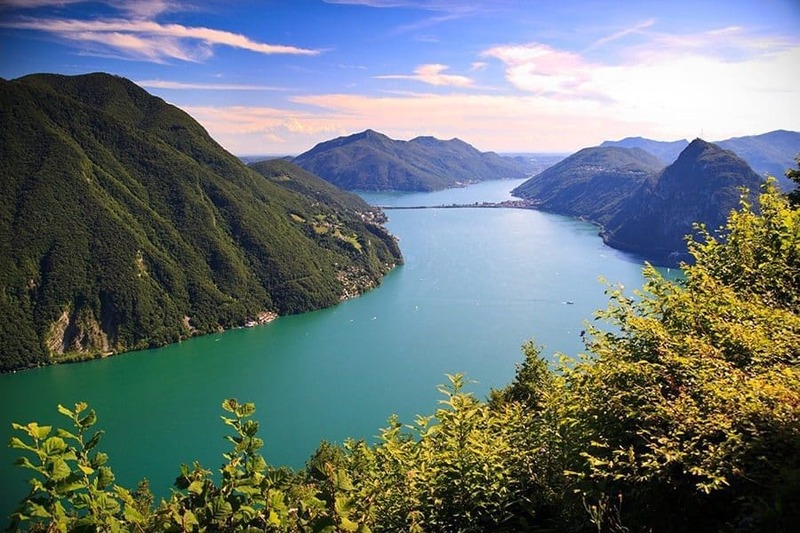 I live in Switzerland and last summer the real pearl for ma was Croix du Van… that was absolutely stunning! Great places that will help me plan my upcoming trip to Switzerland, one of the best countries for travelers. Thanks for sharing! Hi, my husband and I are traveling to Zurich March 14-16 on a layover. We love beautiful scenery and quaint towns. What do you suggest we do while there?